Ensure optimal power or sample size using power analysis. Power for the comparison of proportions available in Excel using the XLSTAT statistical software. The type II error or beta is less studied but is of great importance. 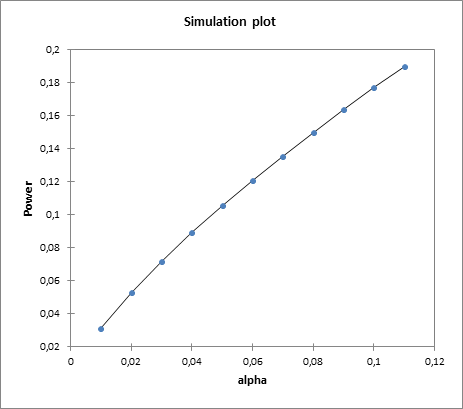 In fact, it represents the probability that one does not reject the null hypothesis when it is false. We cannot fix it up front, but based on other parameters of the model we can try to minimize it. The power of a test is calculated as 1-beta and represents the probability that we reject the null hypothesis when it is false. We therefore wish to maximize the power of the test. 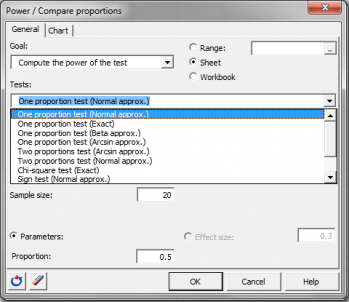 XLSTAT is able to calculate the power (and beta) when other parameters are known. For a given power, it also allows to calculate the sample size that is necessary to reach that power. Approximation using the method of the arcsin: This approximation is based on the arcsin transformation of proportions: H(p1) and H(p2). The power is obtained using the normal distribution: Zp = √N( H(p1) - H(p2)) – Zreq, with Zreq being the alpha-quantile of the normal distribution. The sign test is used to see if the proportion of cases in each group is equal to 50%. It has the same principle as the one proportion test against a constant, the constant being 0.5. 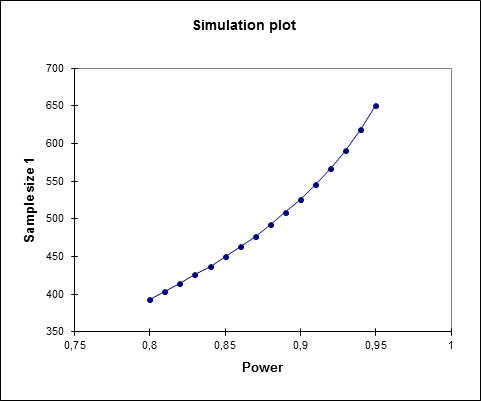 Power is computed using an approximation by the normal distribution or an exact method with the binomial distribution. We must therefore enter the sample size and the proportion in one group p1 (the other proportion is such that p2=1-p1).